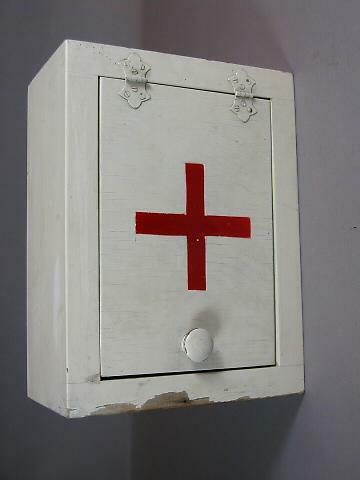 White wooden cabinet, painted white with a red cross on it. Used to store first aid materials in a classroom in Mira Vista Elementary School in Richmond. The cabinet has a door with hinges that opens downward; it has a shelf in the center and it attaches to the wall.